After a year of organizing and rallying support on campus, the Kappa Sigma colony will soon be recognized as an official chapter from their national organization. This recognition allows Young Harris College students to be members of an official Kappa Sigma chapter; however, Kappa Sigma is still unrecognized by YHC. “It’s something this school has never seen before. We hope that we can bring a positive influence to this campus,” said Bo Edgemon, president of the YHC chapter of Kappa Sigma. While the move seems to be a step closer to official recognition for Kappa Sigma as part of YHC’s Greek system, to some it might be a step back. The Inter-Greek Council has no comment at this time except to reiterate that the college does not recognize Kappa Sigma as an official organization. When a national fraternity creates a charter, they are given a Greek-letter designation usually in order of the Greek alphabet. The chapters start with Alpha and descend as new charters are given. Kappa Sigma has chapters on over 250 college campuses and the Rho Pi chapter is their newest addition. Colony President and founding father Bo Edgemon, a media communication major from Kennesaw, has been looking forward to the chapter announcement. Kappa Sigma initiation ceremony is to be held on Feb. 19. On this day, they will no longer be considered a colony, but an official chapter of Kappa Sigma fraternity. Although Edgemon and his brothers are eager to grow their membership, this might be difficult as IGC does not recognize Kappa Sigma as an official organization. They are not able to participate in Rush Week this semester. However, Edgemon is still confident they can talk to new members in other ways. 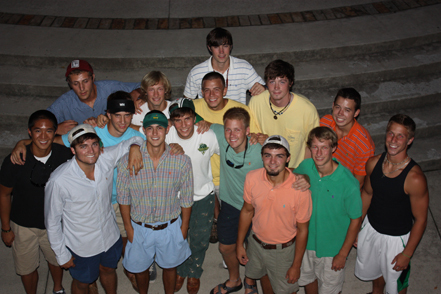 Although many students on campus are aware of Kappa Sigma’s presence at YHC, this is not true for all YHC students. There has been much debate about bringing nationals to campus, with some local fraternities fearing that national Greeks might be more attractive to new members. These fears are associated with national Greeks having more name recognition to incoming students. IGC did not wish to comment on this story, but they did reiterate that while Kappa Sigma is recognized by their own national organization, they are not recognized by YHC or IGC. Like local Greeks, Kappa Sigma members are sworn to a code of responsibility. Their Four Pillars – as they are called internally – are fellowship, leadership, scholarship and service. The Rho Pi chapter was founded by 28 students, 22 are currently on campus. 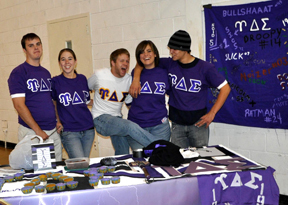 Every semester within the first couple of weeks of the year, there is an organizational fair that is held where only the recognized Greek fraternities and sororities on campus are allowed to attend. This organizational fair is called Smoker’s Tea. This semester’s Smoker’s Tea was held on September 13 in the old gym, and those in attendance included Alpha Iota, Alpha Omega, Alpha Xi, Chi Delta Phi, Gamma Psi, Phi Alpha Phi, Phi Delta, Sigma Beta Sigma, Upsilon Delta Sigma, and Zeta Pi. Smoker’s Tea is a way for anyone interested in Greek life to meet all the Greeks and see what each Greek has to offer. Each organization has a table and as many of their members as possible in attendance. They have baked goods, candy and other little things to give away to the interested people that come to their table. All the members that attend Smoker’s Tea for the different organizations are on hand to answer questions that potential pledges might have about them. It is a fun way for people not in a sorority or in a fraternity to get to know each Greek; but it is also a lot of fun for the people in sororities and fraternities as well, because it promotes a sense of community. Not only does it give potential pledges time to interact with the organizations, but it also gives the organizations time to interact with each other,” said Phi Alpha Phi member Jordan Fleming a junior musical theatre major from Marietta. Even though the gym was really hot this year, Smoker’s Tea was fun for anyone who attended and really showed the community at YHC. Furthermore, The Spat Club, Dorcas, and Delta Gamma are all honor societies. Although they use Greek letter representation, they do not participate in any Greek activities. On another note, in order to be an active organization on campus you must have an approved recognition form from the Office of Campus Activities. Three of the organizations that were published in Enotah Echoes do not have this form, and are therefore not considered active organizations by Young Harris College. These organizations are: Kappa Tau Omega, Kappa Sigma and Alpha Psi Omega. It is our hope as a council that none of these organizations be misrepresented by false advertisement and that no Young Harris College student was misinformed about Greek activity on campus.